It’s the holiday season, which means it’s time for shopping trips and and going broke. I think if you have gift guides to go by, it makes life easier when it comes to picking out the perfect gift for the women in your life. Here’s a list of some pretty awesome gifts for her that will make her happy this holiday season. THE FACE SHOP carries nature’s own values, representing natural beauty and vitality. THE FACE SHOP’s products come from nature and delivers values of its roots. 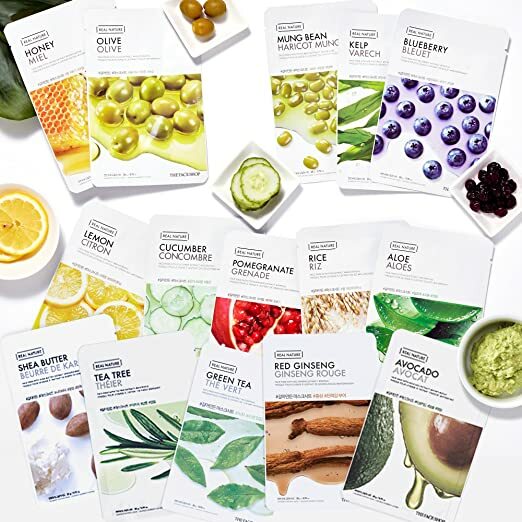 To treat your skin as needed, nothing better than the Real Nature face masks! Made from cotton leaves, they contain a serum with moisturizing and nourishing properties that leave your skin soft and healthy. A mask for all occasions, for all skin types and for every need your skin may ask for: moisturizing, soothing, brightening, firming, the choice is there for you to choose. This anti aging face mask is great for moisturizing and purifying your face. Known as one of the best kept secrets, this Korean face mask is for women and for men. Lovely Bags Fashionable and stylish and special design for this is decorative and make you special. Best design best quality for you. Practical design. Wide and deep storage space. Using advanced materials. Sensitive and casual design. Convenient to carry when you go outdoor to have a travel. Novel design with this cute bag, funny in you work, school or travel, fashionable and trendy. The second generation in Canon’s mirrorless interchangeable line of cameras, the EOS M2 makes only a few tweaks to the original model. A new hybrid CMOS sensor allows for greatly improved auto focus. The addition of WiFi allows for wireless picture sharing. And some minor changes to the buttons and body allow the advanced amateur better control of the camera. Designed to help you transcend challenges – whether physical, mental, or spiritual – Toe Talk socks are a reminder that through focus, balance can be achieved. Enhance your practice. Admire beauty. Experience movement with control and comfort. Achieve proper balance, in poses and in life. Toe Talk socks are a physical foundation for the body, and their mantras lay the groundwork for a soul at peace. Total consciousness. From the ground up. Every woman deserves this! Put it on and take of off with the Best in Cleansing+Best in Blending duo! This two-speed device paired with cleansing and blending facial brushes is the perfect enhancement for your clients’ routine. Patented Clarisonic flex and flush movement works to gently cleanse away impurities, remove makeup and oil that manual cleansing leaves behind. Now with the ability to effortlessly micro-blend liquid makeup, this versatile set is the perfect gift for the person looking to do it all. It’s THE best hair tool a girl will ever own. Not only does a CHI last longer than your average hair iron, it doesn’t damage your hair like others do. It may look simple, but it’s a girl’s best friend! Ceramic Hairstyling Iron by CHI reduces frizz and static electricity, creates silky shiny hair instantly and straightens, curls, flips and waves with the all-in-one ergonomic design. The silhouette cameo is the ultimate DIY machine. Like a home printer, it plugs into your pc or Mac with a simple USB cable. However, instead of printing it uses a small blade to cut paper, cardstock, vinyl, fabric, and other material up to 12 inches wide and 10 feet long. When the blade is replaced by a pen, the cameo will sketch instead of cut. It can be controlled from a computer or save your art to a USB and plug right into the cameo. The machine also has the ability to register and cut printed materials and is PixScan compatible. With the included silhouette studio software, you’re able to create and cut your own designs and use the fonts already installed on your computer. There are also tens of thousands of great designs available through the ever-growing silhouette online store. The simplehuman mirror is a motion-activated, lighted mirror that’s perfect for her to do her makeup. She will not miss any little detail with this mirror. It’s a gift that she’d love to buy for herself, but never will because she puts everyone first. The sensor has multi-sense technology that adapts to your behavior. It automatically lights up as your face approaches the mirror. During use, it becomes more sensitive so it won’t turn off unexpectedly. When you’re finished, it shuts off automatically – very efficient. With up to 40 hours of battery life, Beats Solo3 Wireless is your perfect everyday headphone. Get the most out of your music with an award-winning, emotionally charged Beats listening experience. With multiple colors, you can pick her the right gift for the holiday season! 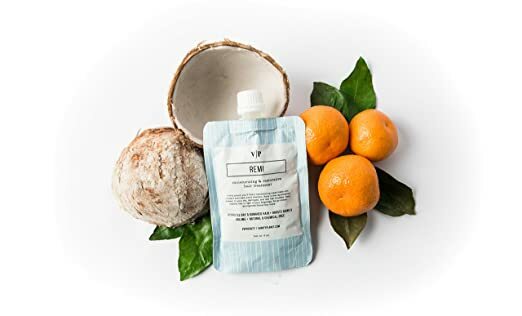 Vanity Planet Remi Moisturizing and Restorative Hair Treatment is a nourishing pre-shampoo hair mask that hydrates dry and damaged hair, boosts shine and volume, and improves the overall condition of your hair. Suitable for all hair types, but particularly for those who style with heat, just one or two uses each week will make a noticeable difference in your hair’s texture. There’s a 6 Pcs decorative candles in metal tealight holders. Each candle last burning steadily for 240 minutes and it’s re-lightable. Impressively authentic looking succulent plants. It’s perfect for bedrooms, dining rooms, living rooms, and anywhere that needs a refreshing accent,also a great gift idea for your friends. This hat with multi-color eyelash flecks is a very fun and fashionable. One size fits most, combines plenty of stretch and a snug fit. This hat measures 12 inches long by 10.5 inches wide lying flat. A great outdoor beanie during the colder months, especially when it’s brutal outside. 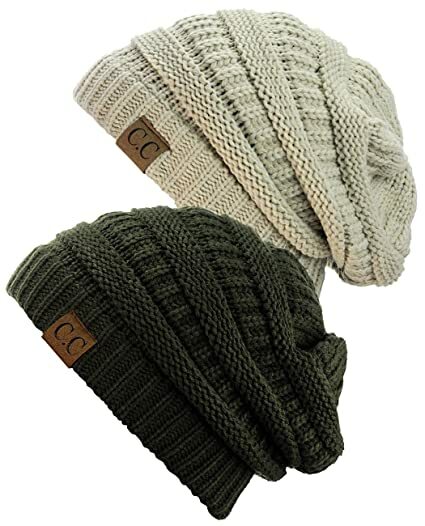 It will keep your head and ears warm during outdoor activities including a football game, ice skating, snowboarding, skiing, hiking, and walking the dog. This beanie is very thick and 100% acrylic. It’s machine washable and should be hung to dry. 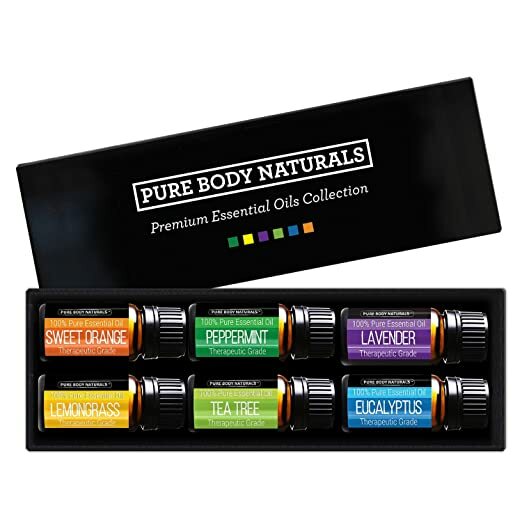 Includes 6 – 10 ml bottles of our most popular essential oils – Lavender, Peppermint, Tea Tree, Eucalyptus, Lemongrass and Orange. Each oil has its own unique therapeutic benefit, from stress relieving Lavender to immune system boosting Tea Tree. Use a few drops in a diffuser or bath to relax or mix with massage oil, cleaning or beauty products to receive the therapeutics benefits. The premium packaging and multiple scents make this aromatherapy essential oils set a perfect gift for a bridal or baby shower, or anyone needing calming relaxation. Our steam distilled and cold pressed oils are 100% natural, paraben free and perfect for both beginners and essential oil enthusiasts. 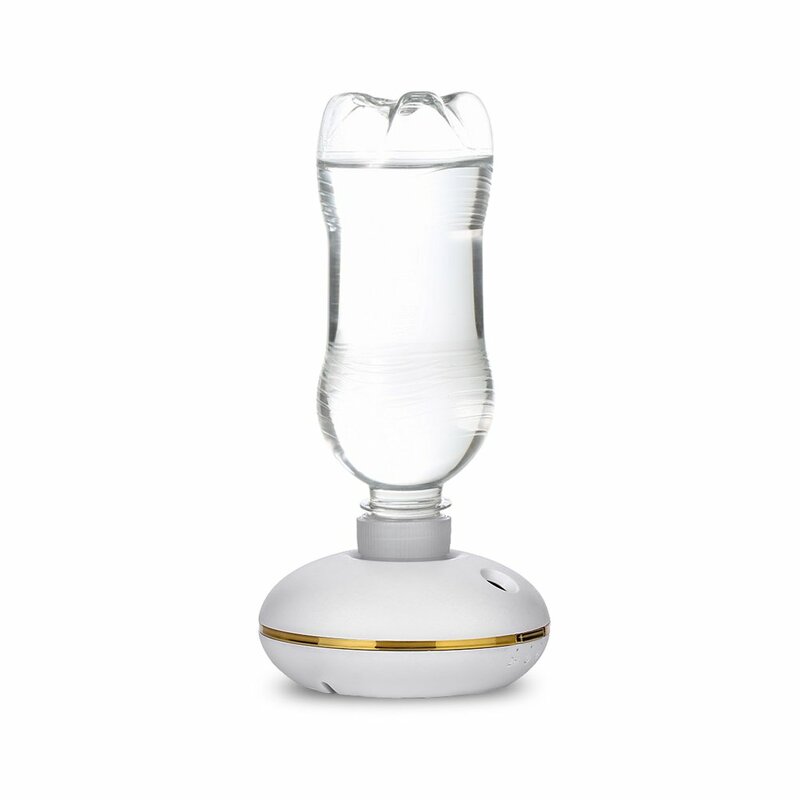 Cordless Design: Cordless design makes it a universal humidifier. Powered by 3 AA batteries or any USB device, like computer, power bank&more. Timer Control: 2H, 4H or 6H timer options. Claim a mode, perfect moisturize your spaces and automatic shut-off when water is run out. Easy to use: Clean with wipe cloth before simply screw onto a standard sized water bottle, power it by 3 AA batteries or any USB devices. Please note that Not all bottles work! It ONLY works with bottles with standard sized necks(Not low profile necks), such as 16 to 20 oz Dasani, Aquafina, Smartwater, Fiji, Evian, Soda or Pepsi bottles.Or use a stand 20oz Coca Cola or Pepsi bottle. They both work and fit well with the adapter. Forget the scissors and glue, and present your photos in a space where they can be enjoyed by many. Using the mini “clothespin” clips, attach your photos and mementos across 5 twine cords in a style that is uniquely ‘you’. Hangit is a great gift for all the special people in your life such as friends, family, teachers or students. 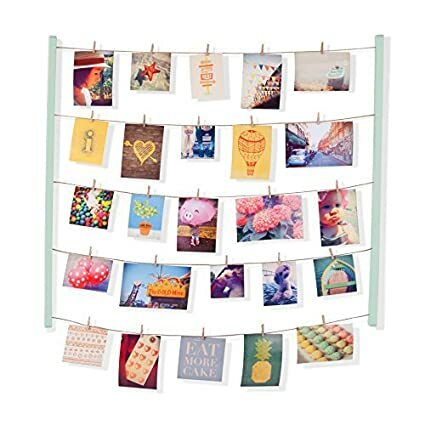 Instead of hiding your favorite photos and mementos in an album or on your phone, use Hangit to display your personal photo collage as a beautiful wall display in your home, office or dorm room. The versatile design of Hangit is unique in not only shape but also in its function. In addition to photos, Hangit is a great space to hold tickets, awards, children’s art, fabric swatches and more. We travel the globe to find the latest designs, research the most popular trends, and commission skilled artists to achieve an extraordinary product offering. Our exceptional attention to detail is married with the finest materials and best manufacturing techniques resulting in quality beyond compare. This is all offered to you at an incomparable value. Your satisfaction is our number one concern. We pride ourselves on excellence in customer service. Our highly-trained customer care team focuses on your individual needs to achieve our united goal of maximizing your sales. The winner will receive “at least one of items featured in the Gifts for Her Holiday Gift Guide” – NOT all of the items featured. What’s your favorite gifts for her from the list above? did we miss something? I partnered with The Hopping Bloggers for this sponsored Holiday Gifts for Her Guide. I would take all these gifts!! There are some really great ones in here!! 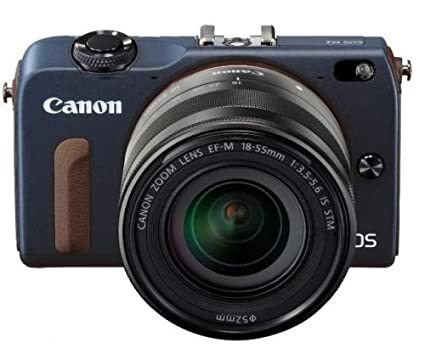 My mom would love the Canon EOS M2 Mark II 18.0 MP Digital Camera. What neat ideas! Several of them are already on my Amazon wish list. 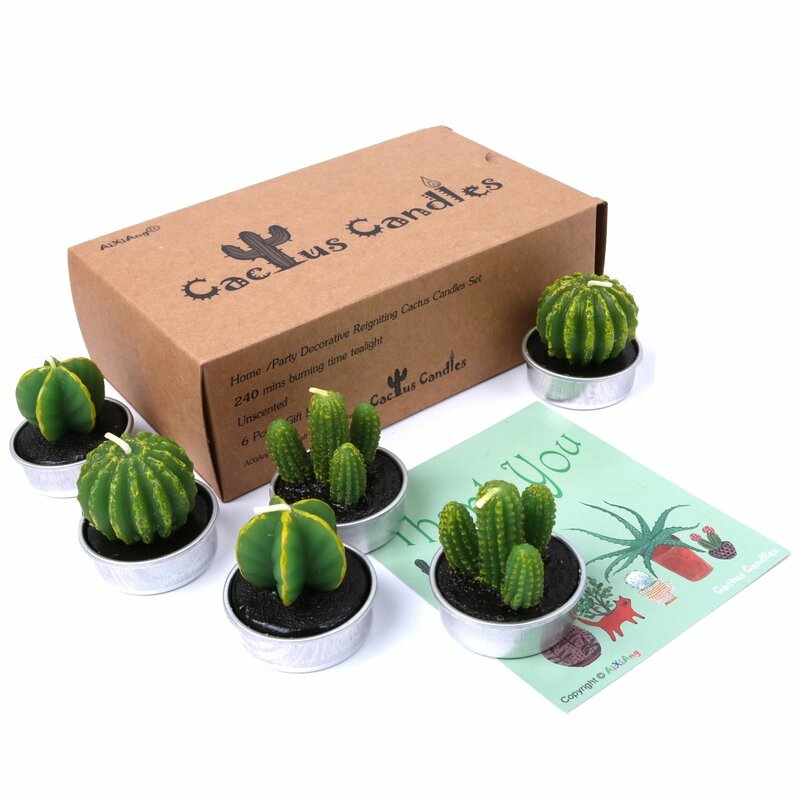 🙂 The Cactus Tea Light Candles are just wild– I don’t think I’d want to light them! My favorite is the Cameo Silhouette, I would love one!! I love the candles that look like cactus! this is a very unique gift. I love all these amazing gift ideas, loving the cable knit beanies , would love to have a canon camera . I like the colorful Vbiger Canvas Backpack, and I’d love to try the Clarisonic Mia 2 Holiday Gift Set. I love that bag!!! Beautiful! I adore the knit beanie! I have long hair and a beanie looks fashionable when I wear one. I would LOVE toe talk! I love the Beanies! They are so fashionable. I love the colors on the Vbiger backpack!! I love the makeup mirror. I have terrible lighting and I think my makeup looks good until I am out somewhere and see it in good lighting. I love that it is cordless but rechargeable so I can use it in any room. When I was a teen my big gift (requested) was a makeup mirror one Christmas. They have come a long way in design since then but I loved my mirror and haven’t owned one since. 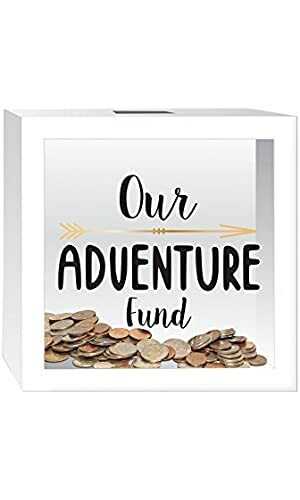 Their are a lot of nice gift ideas on your list, thanks for the ideas. 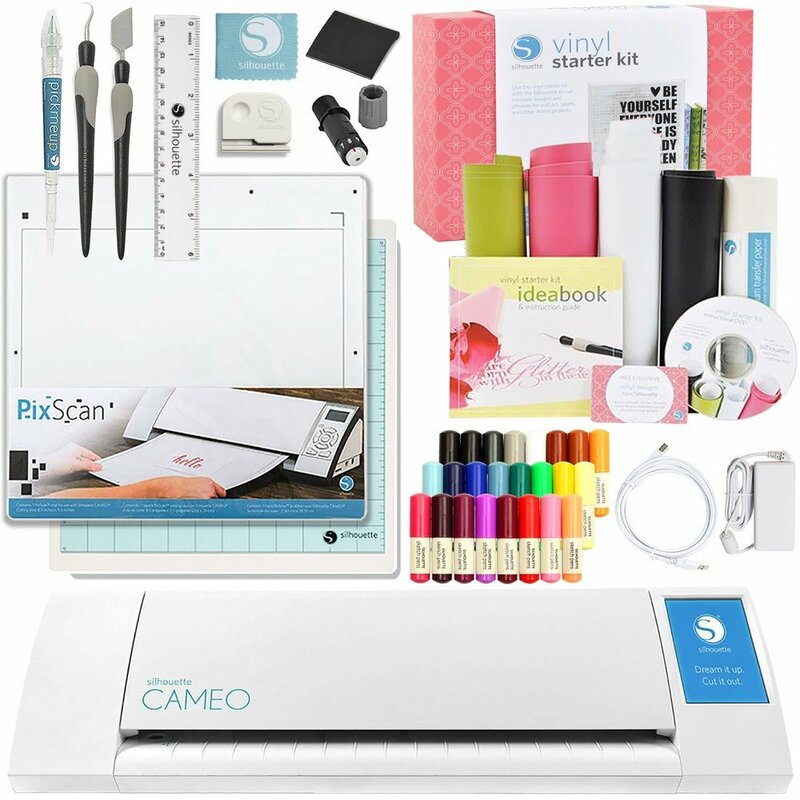 I want the Silhouette America Cameo 2 Touch Screen Starter Bundle kit. I also like the Canvas Backpack. The colors and design are very pretty. I want a Clarisonic so much. I would be happy with anything on this list though. Great guide. The Cactus Tea Light Candles are so cute! That is the prettiest backpack I’ve ever seen.